To start things off, I’d first like to talk about on-site SEO. As far as on-site optimization goes in 2017, things haven’t really changed that much. What has changed a lot is what people are talking about. Right now, you’ll hear more about the user experience, bounce rate, and how Google is measuring all of these different things. People looking through Google search results. Google can learn so much information about your website. They know how long a person spends time in a website. They can see how many pages they view while on a site. They can check the bounce rate – if they click on your site from their search engine and then immediately click off and go to another site. And they’ll even know if they stay on the other website longer. When you add everything up, it will have a major impact on your overall rankings. And as you can imagine, this is much more difficult to manipulate than standard stuff like long form articles, titles, meta-descriptions and URLs. This adds a much bigger wrinkle to current and future SEO. Now that people are starting to see the full power of on-site SEO, everybody is working hard to optimize their website. But by no means is everyone’s website optimized well. 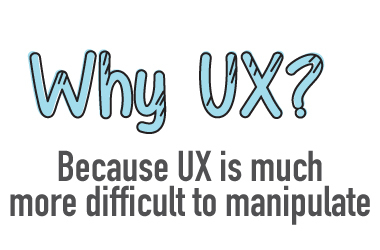 In our experience, we have noticed many websites that still aren’t properly optimized. In fact, SAAS and local websites seem to focus more on brand optimization and not enough on organic optimization. So that’s one thing that I’ve noticed. It’s definitely a new wrinkle. And there’s still much more to discuss. This was big going into 2016. As we gather more data, it becomes that much more real and tangible. It’s a big, big shift in the way people used to think. I’m talking about topical optimization for content marketing. As an example, if you type in a general term like “entrepreneur apps” and look on page 1 of Google, you won’t see a single small niche website for this broad, general term. These days, Google seems to have a big inclination toward showing listicles in the search results. This doesn’t mean that they are the best results. It just shows that Google is attempting to deliver content based on the average user’s low attention span. They don’t seem to really care about detail as much as you might think. In this environment, I have noticed that even if you’re writing extremely long form, in-depth content – what we call a spoke and hub approach – I’d recommend that you use this approach to rank highly above your competitors in the search results. 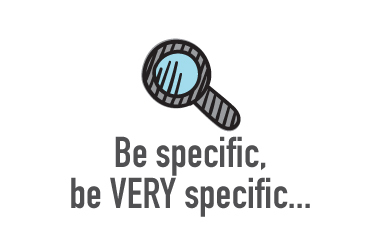 To explain this approach, you’ll have one really big piece of super long form content that covers an entire category and provides a bird’s eye view while being very comprehensive at the same time. 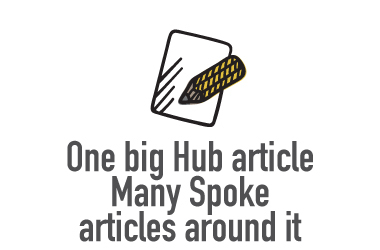 This is known as the hub. As an example, let’s say we’re talking about a piece of hub content for a medical website. In this content, you’ll have the description, what it’s for, side effects, benefits, studies, things to watch out for, and similar. If someone types Propanolol (it’s an anxiety drug) into a search engine, this big piece of long form content should show up in the results. As far as creating spoke content is concerned, each piece of content would be considered a subpage. Sticking with our Propanolol example, each subpage can flesh out and go into greater detail about various parts of the long form hub content. 1. Things to consider before taking this medicine. 2. How the warnings and cautions of Propanolol have changed over time. By creating content this way, you are setting up a website with plenty of internal linking. You are building up topical relevance for that particular article. If you have one hub article and 20 spoke articles around it, this is a huge signal to Google that says this is a very topically relevant site for Propanolol. Think about content creation in this way. When combined with some link building and good on-site internal linking, you’ll do a lot better in the search engines with a lot less effort than somebody who is just focusing on content or just focusing on link building. Link building is always a hot button issue. Things get more competitive as time goes on. It’s nearly impossible to game Google using low-quality links and automation tools at this point. And your options for getting high search rankings through low-quality links continue to diminish. Any results that you might achieve through automated link building just aren’t going to stick around for a long time anymore. Google just keeps getting smarter! And good, high quality link building keeps getting more and more expensive. And as we all know, as things become more expensive, people start looking for cheaper options. That’s when many people come to the conclusion that content marketing is the cheaper way to go when it’s done correctly. So it only makes sense that so many people are switching to content marketing. Just don’t ignore the fact that there is still a huge, huge place for link building. Is Link Building Still the SEO Gold Standard? I run an SEO agency called OutreachMama. We do content marketing and we do link building. Link building is still the gold standard for getting keywords to go higher in the search rankings for your target category or specified keyword. The biggest thing right now is rankings delays. Google uses psychology to dissuade the use of links because so many people have figured out that link building is the key. For now, just know that Google understands that you understand that link building works. Link building isn’t rocket science. Some people haven’t quite figured out how to do it at scale and others have mastered this skill. Even if you figure out how to scale your link building, and you do it for a few months, you still won’t see the results that you’re hoping to achieve. This is especially true if you just start building links to a new site. Most people have a problem with this! They are impatient and they want to see instant results. They don’t want to wait around forever. I feel this was Google’s game plan all along. I think this is the reason why Google is genius. They want to discourage people from investing in search engine optimization. It’s a long-term process. They purposely have algorithmic delays in place to keep you frustrated. Let’s say you build 200 high quality links in 30 days. Guess what? You won’t see a rankings benefit for at least nine months to a year. Yup, it takes that long for the algorithms to kick in in your favor. Every once in a while there’s an outlier and somebody will get lucky, but this doesn’t happen all that often. On the other side of the coin, some people might have to wait two years before the algorithm counts those 200 high quality backlinks. At least this is the timeline that we’ve seen in our business. How many times can someone do something for three months and not get the result that they want? Then they have to turn around and do it all over again for another three months, and maybe three months more after that, and possibly even another three months more after that. How long will it take for them to bail out and call it quits? When most people find themselves in this situation, they are going to quit. They are going to bail out on link building. You know what that means? It means Google has won. It means they have gotten the best of you. Will You Let Google Win? You’re going to try something else. You’re not going to give up on online marketing completely. You know the value of it for your business. What will this person end up trying? If you guessed Google Adwords, you guessed right my friend! They’ll throw a bunch of money a Google. They may get the results that they want and stick with the Adwords platform. Or it could completely backfire in Google’s face. This person might turn to Facebook and spend all of their money with them. Or they might even try something different. This person could invest their money in content, but they have to realize that they’re going to run into the same problem. It’s going to take a long time to get results. At least they’re doing something different. And content is ultimately what Google wants, so you’re feeding the beast and you’ll ultimately be rewarded for it in the end. The moral of the story is… Google wins in most situations! Make sure you continue associating yourself with quality sites. 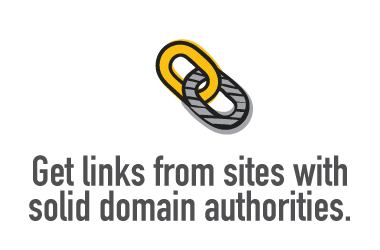 Get links from sites with solid domain authorities. Stick with sites that have unique content. You can look at SEM Rush or Ahrefs profiles and make sure those websites and their webpages are still ranking well. Do they have a good social media presence? You definitely want to choose sites with a strong presence on social media. You can’t really game any of these factors. If they exist, it means that it’s a good site in Google’s eyes. Google looks at good sites, looks to see where they’re linking to, and that’s how it transfers SEO authority from one site to another. This is definitely a good strategy to continue to follow. Are Private Blog Networks (PBN) A Good SEO Strategy? Some people are still using private blog networks, also known as PBNs. They host a network of private blogs, post content and generate links from those blogs, and this method certainly still works. But it’s a dangerous way to build links. Caution is important with this link building method. If you’re building links for your own business, you understand the risks you’re taking. Be careful if you’re using PBNs to build links for client sites. It’s really easy to make mistakes trying to game the search engines. They’re going to catch up with you eventually. It might not happen now, or even in a year, or even in two years, but they’re going to get you at some point. Are you really willing to waste two years of your life? You could’ve spent the past two years building links the right way by pleasing Google instead of trying to game the system. Your results would’ve lasted much longer and you’d have a real business, so keep that in mind. That’s my summary for top SEO and link building trends in 2017. I hope you found it useful and informative. Enjoy the benefits of years of experience that I’ve gathered in the SEO industry. Feel free to ask any questions right here if you have them. Previous Previous post: What are Trustworthy Online Services for Blogger Outreach? Next Next post: How Many Segments Should My URL Contain For Best SEO?